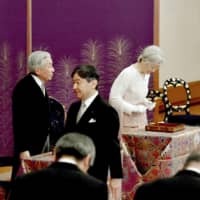 The government decided Thursday that only male adults of the Imperial family will attend one of the key ceremonies to mark Crown Prince Naruhito’s ascension to the throne on May 1, following the example set by Emperor Akihito’s enthronement in 1989. The government will allow only male adults from the Imperial family to attend the ceremony because the Imperial House Law stipulates that only males can ascend the throne and members who are minors customarily do not take part in succession rites. But excluding female members could be viewed as being out of touch with the times. In contrast, the government will allow female Cabinet ministers to participate in the rite on the grounds that they are unrelated to the Imperial succession and would be attending as observers. Currently, the Cabinet of Prime Minister Shinzo Abe has only one female minister: Satsuki Katayama, who is in charge of regional revitalization. When Emperor Akihito ascended the throne in January 1989 following the death of his father, Emperor Hirohito, the attendants were all male. The Cabinet at the time, under Prime Minister Noboru Takeshita, had no female ministers. 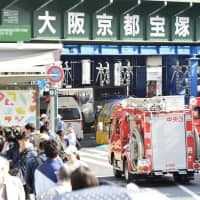 The 58-year-old Crown Prince will ascend the Chrysanthemum Throne a day after Emperor Akihito, 85, abdicates on April 30 as the first living Japanese monarch to do so in about 200 years. The Kenji to Shokei no Gi ceremony, in which a new emperor inherits traditional regalia such as the sacred sword and jewels as proof of accession to the throne, will commence at 10:30 a.m. on May 1 at the Imperial Palace in Tokyo, with Cabinet ministers, Diet leaders and the chief justice of the Supreme Court taking part. Prince Akishino, the 53-year-old younger son of the Emperor, and Prince Hitachi, the 83-year-old younger brother of the Emperor, will be the only participants from the Imperial family. 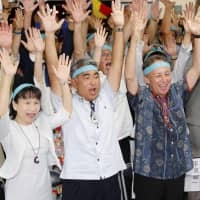 But in the Sokui go Choken no Gi ritual, or the new Emperor’s first audience ceremony after the accession to be held later on May 1, female adult Imperial family members will be allowed to participate, along with senior Diet and government officials and municipality heads. The government committee on the Imperial succession rites led by Abe also decided Thursday to use a convertible model of Toyota Motor Corp.’s luxury sedan Century for a parade scheduled for Oct. 22 to celebrate the new Emperor’s enthronement with the public. Among five candidates, the panel picked Toyota’s Century, typically the sedan of choice for the Imperial family and company executives, for the parade due to its safety and fuel economy. Other candidates were Nissan Motor Co.’s Cima, Honda Motor Co.’s Legend, Rolls Royce’s Dawn and Mercedes-Benz’s S560 Cabriolet. The government also sounded out BMW, but it did not present a proposal, officials said. In a Feb. 24 ceremony at the National Theater to commemorate 30 years since the enthronement of Emperor Akihito, Fukushima Gov. 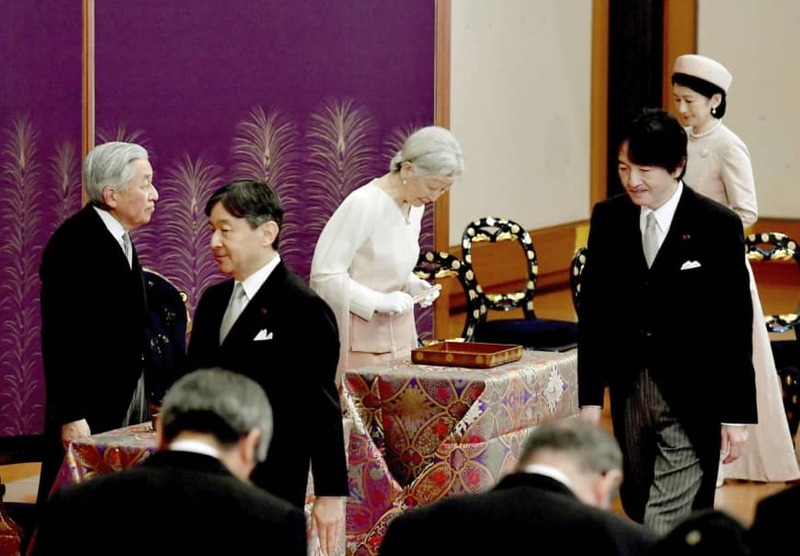 Masao Uchibori and former Foreign Minister Yoriko Kawaguchi will offer words of gratitude to him as representatives of the public, according to the outline of a series of succession ceremonies. The Emperor, who has undergone heart surgery and treatment for prostate cancer, signaled his desire to step down in a video message in 2016, citing concerns that his advanced age and weakening health could prevent him from fulfilling his duties. The Diet enacted a one-off law in June 2017, allowing him to pass his status to his elder son. The special legislation was necessary as the Imperial House Law lacks a provision for abdication.